as a well respected medical instrument and equipment development and manufacturing company. 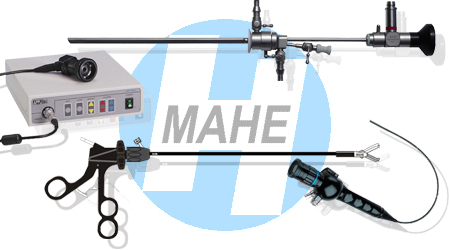 MAHE's product range includes thousands of surgical instruments and devices that are designed for specific applications in the field of endoscopy. We invite you to review our innovative, precision engineered and affordable line of products. Thank you for visiting Mahe International. © Copyright 2004 MAHE International. All Rights Reserved.